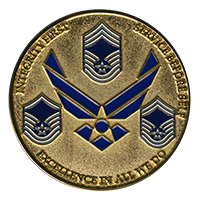 USAF challenge coins are great for the men and women currently serving in the United States Air Force. In fact, they also make great tokens of appreciation for veterans that have already served their country. When it comes to providing these modern-day heroes with a sentimental gift, Noble Medals is up for the job. Let us help you make your perfect challenge coin! Just think about any branch of the military, and how proudly members wear their uniforms, patches, medals and other ornaments that signify their service. Noble Medals provides these brave men and women with another great keepsake. 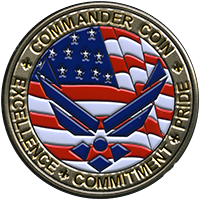 We make USAF challenge coins that are fully customized. As the designer, you can alter everything from the edging of the coins to the metal plating finish. If you are ordering coins for your unit, this gives you the power to personalize it down to the most intimate details! Coins and medals have been around seemingly forever to help remember heroic actions or special dates. USAF challenge coins help members of this branch of service look back on their days spent defending this country. This is an amazing keepsake that a veteran can pass on from generation to generation, illustrating the importance of putting your country first. Our custom US Air Force coins stand the test of time because we only use the most reliable and durable materials. The same cannot be said for plastic trophies, plaques or paper certificates. At Noble Medals, we want to send a huge ‘Thank you’ out to all service members, both past and present. 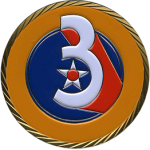 We hope you will consider USAF challenge coins as a tradition worthy of honoring the elite members of the legendary US Air Force.